He knows conservatives are right. One of the questions which comes up in late-night conservative bull sessions is, "Do liberals really believe their claptrap despite all the evidence against it? Or are they genuinely so evil as to intentionally destroy lives and fortunes simply for their own political gain?" It's difficult to imagine that any political leader of any country, much less America, would set out with malice aforethought to destroy his own country's economy. Yet, considering the enormous competition to reach high political office, it beggars belief that a truly stupid person could ever successfully climb that greasy pole. A certain minimum amount of intelligence, curiosity, and empathy must surely be required - but every page of five thousand years of recorded human history trumpets the unarguable fact that government cannot successfully run an economy by regulatory fiat or by confiscatory taxation, as Democrats routinely attempt to do. Once again, we have Mr. Barack Obama to thank for finally laying to rest this age-old debate. The first half of Barack Obama's presidency has provided the ultimate test of purist liberal statism in an American context. He enjoyed the unanimous support of the mainstream media; commanding majorities in both House and Senate; unified adulation by the Federal bureaucracy and much of the judiciary; and even the support and approval of a convincing majority of the American people. Republican politicians could say what they wanted, but were ignored and held no real power. Liberal Democrats were free to do exactly as they pleased. That's just what they did. For a century now, the left has called for a thorough trial of the economic theory of Keynesian stimulus, wherein unlimited government spending is supposed to jumpstart an economy and rocket us all to prosperity. 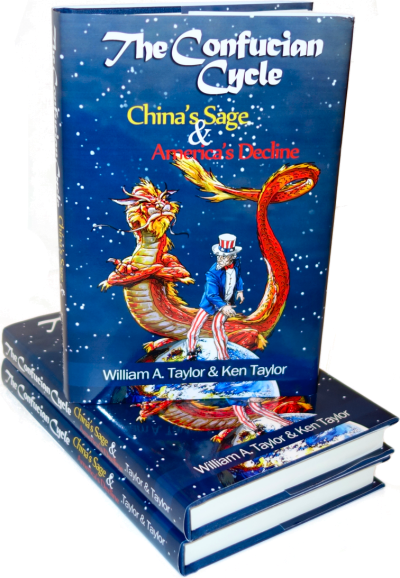 In his first stimulus package, Mr. Obama did precisely that: he spent not only every last cent we had, he spent everything the Chinese would loan us. The result? Total and unmitigated failure: the unemployment rate with the stimulus exceeded Mr. Obama's worst-case projected scenario without it. It is no longer possible for any honest person to believe that government spending can jumpstart an economy, though Paul Krugman keeps trying to delude the gullible. What about regulation? It was on Mr. Obama's watch that the worst environmental disaster in American history took place, with two startling results: the government's total incompetence was on full display, arguably contributing more to the spill than it helped; and then, once the spill was stopped, the Gulf mostly cleaned itself up in record time without human assistance. Meanwhile, the drilling moratorium destroyed Louisiana's petroleum-based economy, raised energy prices for all Americans, and poured more of our dollars into the pockets of corrupt Saudi sheiks who share our money with terrorists. How about employment? The Left has long claimed that government is the engine behind good jobs and that unions are needed to guarantee good pay. The bulk of Mr. Obama's stimulus was poured into unionized government jobs; he also bailed out the collapsing automakers to save the UAW's lavish benefits. Furthermore, his administration has been banging on about creating "green jobs" to do environmentally-correct infrastructure improvements. 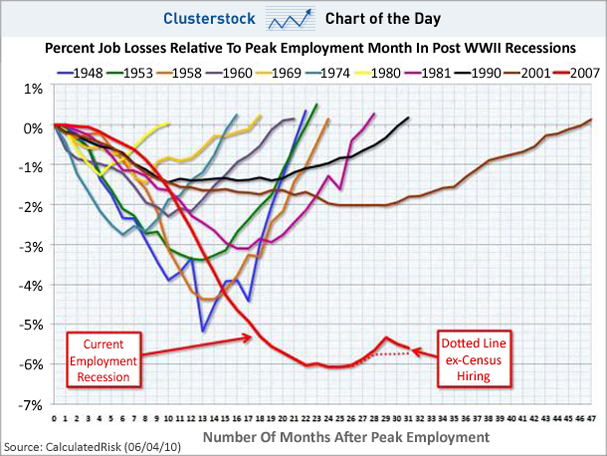 Most American recessions show employment bouncing back as quickly as it dropped; the harder and faster the drop, the more vigorous the recovery. Not this one; employment isn't dropping anymore, but it's not growing either. The economy has flatlined. The bottom line? Mr. Obama and his fellow Democrats had the opportunity, the power, and every incentive to enact every single policy which, according to their playbook, should restart our economy. They did so. It all failed utterly. Now Mr. Obama is facing a serious problem: He knows his statist, government-centric "solutions" serve only to make the nation poorer and more frustrated. He also knows that his party just got a shellacking from an angry electorate, and if he doesn't turn things around pretty soon, 2012 will be even worse. This is the moment when Mr. Obama has to ask himself: what does he truly believe? He must fix the economy by whatever means necessary or he's doomed. What's more, keep things flatlined for two more years and his whole party may be destroyed. We (the United States) tax everything that moves and doesn’t move. If he, like Franklin Roosevelt, truly believed that government spending was the real answer, that's what he'd do. Roosevelt didn't let anything stand in the way of his expansionist plans: not Congress, not the Republicans, not the Supreme Court. It didn't work for him either, all it did was run up debt to no effect, but it's clear that he truly believed in it; he gamely clung to Keynes until World War II intervened and fixed the economy for him. Even in 2008, Mr. Obama gave hints that he saw things a little differently. In a telling debate exchange, he explained that he knew full well that lowering tax rates led to increased government revenues as well as national wealth, but he wanted to raise taxes anyway - not to get more money or even to benefit the poor, but simply so the rich couldn't have it. At the time, he clearly felt that public opinion would allow him to hammer the wealthy regardless of the fiscal consequences. That's not true anymore; the Republicans won't let him soak the rich. He knows this but he doesn't like it one bit, as his recent teeth-grinding press conference made clear. What sort of presidential "compromise" is it where the President blasts both sides, and says he hates the agreement he has struck? Mr. Obama knows that he cannot raise taxes or he's doomed. He has to lower taxes and regulation if there's to be any hope of economic recovery and his own re-election. Yet he finds this so repugnant, so indescribably vile, that he cannot help but lash out at friends and enemies alike for putting him in the awful position of having to let the American people keep some of their own money. So, back to our opening question about the beliefs of the Left. Bernie Sanders, for one, is a true believer: he still has full confidence in the omnipotence of government and the transcendent importance of government spending, which is why he filibustered the tax agreement. Yes, lowering taxes does help the economy and raising them kills it. Yes, even the "rich" do more economic good spending their own money than handing it over to Uncle Sam. Yes, no matter what the government spends money on, it's less helpful than just letting Americans do it for themselves. And when you absolutely, positively must fix the economy, government needs to get out of the way and stop stealing. In other words, Mr. Obama knows his professed liberal beliefs are utterly and totally wrong; case closed. Which raises a new question: That being so, how can he live with himself, and why would he prefer a wrecked economy if it were possible for him to bring it about? During the Obamacare debates, Mr. Obama said he'd rather be a one-term president than a two-termer who didn't do the right thing. He may get both halves of his wish - becoming a one-term president and a president who didn't do the right things. Some compelling data here. Thanks.